Why Do I Keep Super Sizing Me? According to Brian Wansink, the average person makes over 200 choices regarding food every day. The scary part? The person is only aware of 10 percent of those choices. “Mindless Eating” straddles two genres, ending up somewhere between popular science and dieting guide. Though the majority of the book is devoted to explaining studies and theories, the last bit of each chapter applies the abstract to the reader’s life. Wansink outlines the studies in colorful language, highlighting the often duplicitous methods of social science research. In one restaurant, bottles of the same wine were passed out with either a North Dakota or California label. Not surprisingly, diners rated the North Dakota bottle as tasting worse. More unexpected was that diners drinking the “Californian” wine also consistently rated their food as tasting better than those drinking the North Dakota bottle. Influence extends further than most people think. 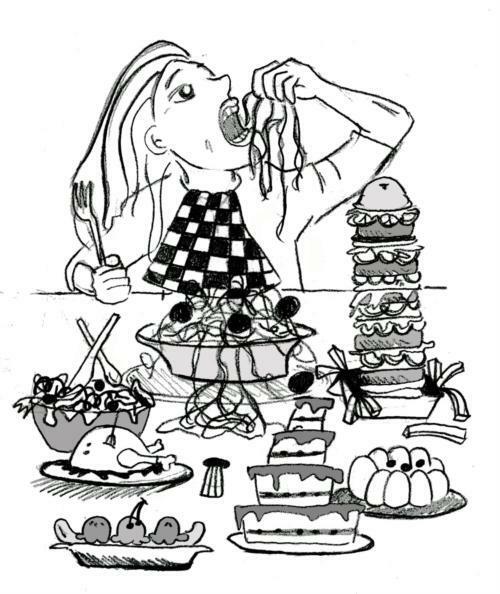 Many of the suggestions in “Mindless Eating” aren’t feasible for college students who have less control over their eating environment than the general public. No matter how much using smaller plates and serving utensils may help us lose weight, most of us are stuck with the ones the dining hall provides. However, Wansink does provide tips that will work even in a cafeteria environment. For instance, limit yourself to two buffet items at a time; by the time you go back for more, you’ll feel more full. Also, Wansink writes that studies show people judge quantity by volume not mass, so if you want to cut calories and still feel full, get a smaller burger and plump it up with lettuce and tomato. Wansink’s packaging of “Mindless Eating” reveals his grasp of how to take advantage of existing psychological tendencies and reading preferences in the general public. Though Wansink’s work is something of a diet book, it also resembles another genre that has found especial favor with the public lately—that of popular social science. “Blink” focuses upon the unconscious factors that manipulate people’s conscious decisions. Sound familiar? It is not surprising that Wansink, a researcher who studies how people’s choices frequently tend toward what seems easiest or most immediately pleasurable, does everything to make his book accessible to a wide audience. There is nothing wrong with being savvy in business, and “Mindless Eating” is only as well-packaged as any other commodity. On the cover (which has a matte white finish and medium blue font strikingly similar to that of “Blink”), “Ph.D.” is displayed prominently beside Wansink’s name, an appealing adjective that both validates “Mindless Eating” as a diet book and elevates the reader’s expectations. Wansink has a gift for finding quirky, interesting facts and applying them to improving the reader’s diet. Part of the appendix—“Defusing Your Danger Zones”—adopts both the language of existing diet plans and the common strategy of assigning people “types” and then providing solutions that feel individually-tailored. The book’s format is made accessible with large-spaced type, frequent graphs, and inset quizzes, such as one where readers attempt to match the personality type to the matching flavor of soup. But the approach to books as yet another product to be marketed has its downside. In some ways, “Mindless Eating” is intellectual instant gratification, the literary equivalent to delicious but airy cotton candy. Though Wansink explores the possible implications of the studies for weight loss strategies, he never considers any of the greater implications. What does it mean that people are so extremely suggestible and malleable to outside influence? Or, perhaps more pertinently, what about the brands and companies that are using studies like those discussed in “Mindless Eating” to further their own aims? Such questions are pushed aside by the more accessible “Power of Three Checklist” and quizzes showing soup-personality correlations. Wansink never makes any pretensions to discussing the greater ideas and problems suggested by the research, but by the end of the book you wish he had. As a diet book, “Mindless Eating” is exceptional—both readable and sensible. But as a book explaining scientific studies to the public, it is belied by its packaging.